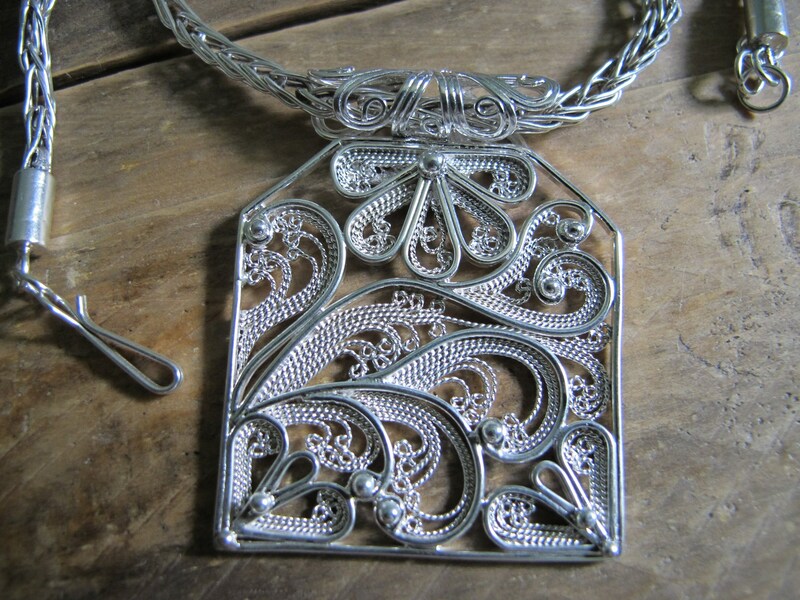 One of the reasons that I love working with filigree is that it allows me to express movement with metal. The effect of wind on water and clouds can be captured in this medium for all to see. The handmade filigree pendant is fused to the bail, and are both made of 935 Argentium Sterling Silver wire. The handmade 935 Argentium chain is made from wire rings that are bent, folded and strung together using an ancient chain making technique. The pendant and bail measure 1-1/2 inches wide by 1-3/4 inches long. The chain including the clasp and rings measures 16 inches long. I strive to infuse all of my creativity into each item of Jewellery that I make.